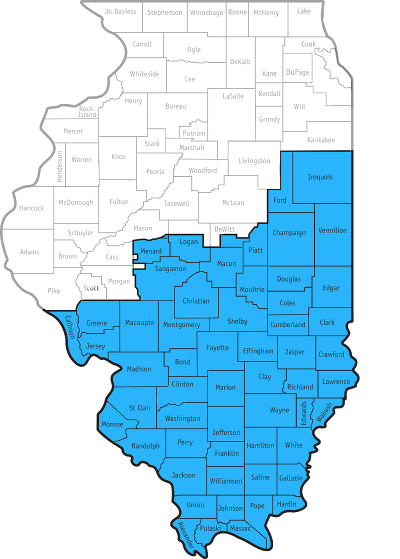 The Illinois Heartland Library System (IHLS) is a not-for-profit library system providing delivery and automation (online catalog software) to the libraries of southern and parts of central Illinois, as well as certain grant program services, such as the Cataloging Maintenance Center to libraries statewide. 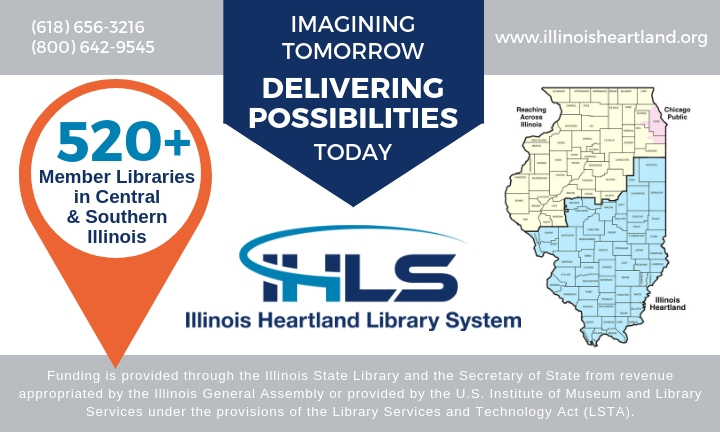 Illinois Heartland Library System (IHLS) empowers libraries to embrace innovation and collaboration. To support member libraries of all types in providing quality library services. IHLS facilitates access to shared resources, advocates for libraries, promotes innovation and develops community partnerships. We are innovative and creative and exercise leadership in developing programs and services that meet the needs of IHLS diverse multi-type libraries. We engage members and draw on their expertise in the development and improvement of programs and services. We operate IHLS ethically with accountability and transparency. Our diverse staff works together with trust and respect for our individual talents in order to provide the best service possible. We value collaboration among members with other library organizations and community partners. We practice clear and open communication with members, staff and other stakeholders. IHLS facilitates, supports and promotes resource sharing to assist member libraries of all types to be of service to their users. IHLS communicates with and engages member libraries of all types and promotes member networking to assist libraries in improving their services. 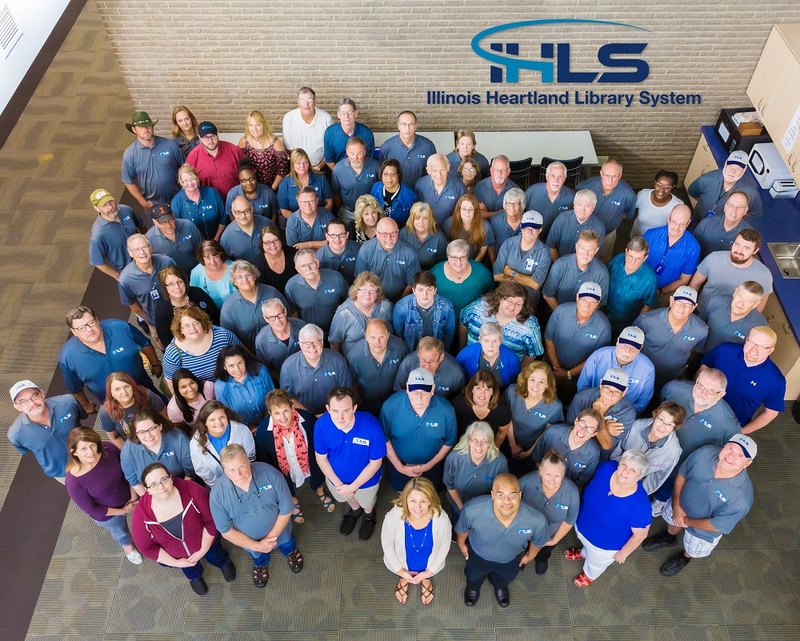 IHLS provides information and assistance to member libraries of all types through consulting and continuing education to improve the expertise of their staff. IHLS provides leadership and embraces innovation to assist member libraries of all types to better serve their users. IHLS advocates for the role of libraries and library staff to build strong libraries and strong communities. IHLS stewards its resources to ensure maximum benefit to member libraries of all types and to taxpayers. IHLS covers 28,141 square miles and serves a population of 2,248,634. There are 521 member libraries: 30 Academic, 227 Public, 235 School and 29 Special. Of the 521 IHLS member libraries, 341 at 480 locations participate in the IHLS automation consortium known as SHARE.